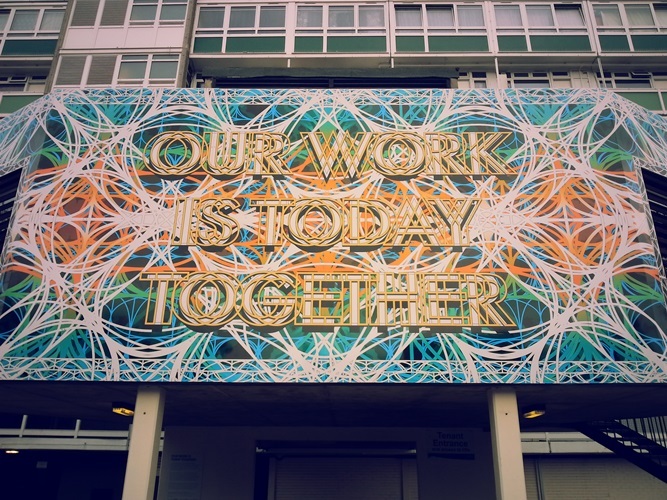 A South London Gallery commissioned public artwork in nearby Sceaux Gardens Estate. 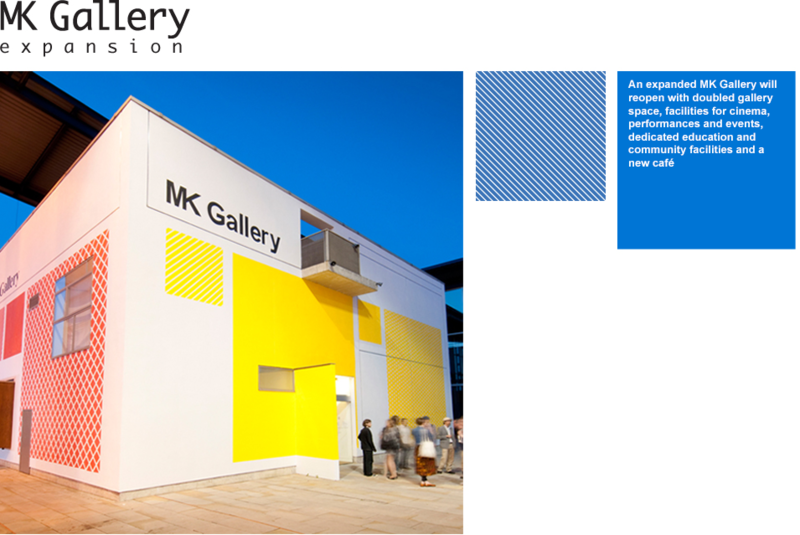 “During the Gallery’s expansion period we’re taking the opportunity to research new models of learning and participation for our visitors and fresh ways of working, both in the interim build period and post-expansion. The first of our trips took us to Gasworks, a contemporary visual arts organisation in Vauxhall, and then Glamis Adventure Playground in Shadwell. Our second visit was to South London Gallery in Peckham. At Gasworks, Participation Coordinator Katie Orr provided us with an overview of their learning programme. We were particularly inspired by their strong inter-generational family learning ethos and excited by the potential for crossovers between age groups in our own future learning programme. At Glamis Adventure playground their lead play worker Mark shared insights into the value of open space for free play, and its culture of involvement in a dense inner city area. We must admit that we really enjoyed roaming the colourful landscape of nets, walkways and rope swings and scaling the heights of the painted plank fortresses! At South London Gallery (SLG) we met with Sarah Coffils, Head of Learning, Heather Kay, Schools and Community Project Manager, and Lauren Willis Children and Families Project Manager to hear about their play centred ethos. Afterwards, on the nearby Sceaux Gardens Estate, we toured their successful ‘Shop of Possibilities’ project. We also saw the impact of the SLG artist commissioned Signs Project , where artists and designers have worked with local residents to improve way-finding and the visual identity of the estate.